Look no further for your next super-duty backpack vacuum. 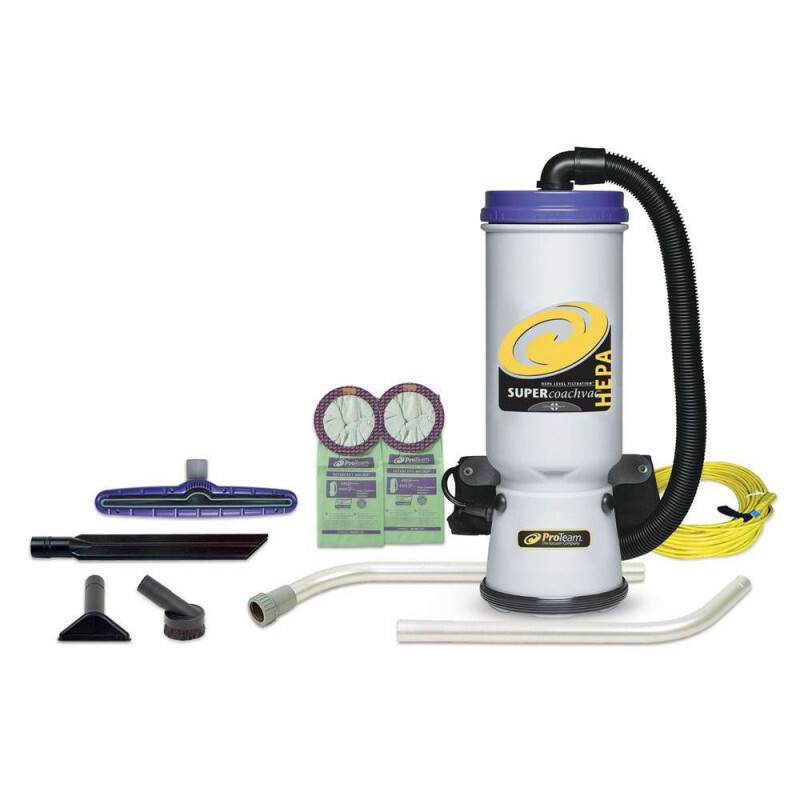 The SuperCoach by Proteam is one of the most powerful backpack vacuums on the market, giving the user ample suction power to clean a large area efficiently in no time. Studies have shown that using a backpack vacuum, as opposed to a canister-type or upright vacuum, is more ergonomically sound for the user, causing less fatigue and better productivity. The SuperCoach is ideal for larger facilities such as hospitals, large schools, banquet halls, large office buildings, industrial facilities, and sports complexes. 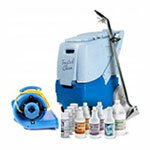 It's 10-quart capacity allows the user to clean a very large area before having to empty the canister. We also offer the slightly smaller version of this machine with a HEPA filter: Super QuarterVac by Proteam. Please feel free to look through all of our backpack vacuums for other options in this category, if this model is not exactly what you're looking for.